Weather Is Gonna Kill Us! Or Is It? 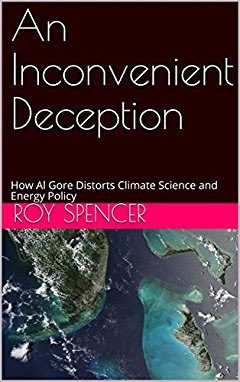 I heard Rush Limbaugh mention this short book, and what with Harvey and Irma tag-team battering us, I thought it would be good to blog about An Inconvenient Deception: How Al Gore Distorts Climate Science and Energy Policy by Roy Spencer. Updated 2nd Edition: Al Gore's new movie An Inconvenient Sequel: Truth to Power is reviewed for its accuracy in climate science and energy policy. As was the case with Gore's first movie (An Inconvenient Truth), the movie is bursting with bad science, bad policy and some outright falsehoods. The storm events Gore addresses occur naturally, and there is little or no evidence they are being made worse from human activities: sea level is rising at the same rate it was before humans started burning fossil fuels; in Miami Beach the natural rise is magnified because buildings and streets were constructed on reclaimed swampland that has been sinking; the 9/11 memorial was not flooded by sea level rise from melting ice sheets, but a storm surge at high tide, which would have happened anyway and was not predicted by Gore in his first movie, as he claims; the Greenland ice sheet undergoes melt every summer, which was large in 2012 but then unusually weak in 2017; glaciers advance and retreat naturally, as evidenced by 1,000 to 2,000 year old tree stumps being uncovered in Alaska; rain gauge measurements reveal the conflict in Syria was not caused by reduced rainfall hurting farming there, and in fact the Middle East is greening from increasing CO2 in the atmosphere; agricultural yields in China have been rising, not falling as claimed by Gore. 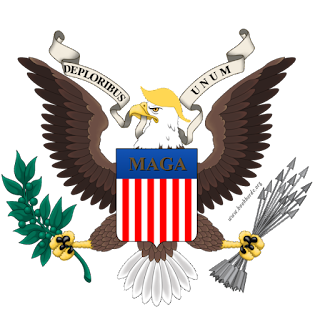 The renewable energy sources touted by Gore (wind and solar), while a laudable goal for our future, are currently very expensive: their federal subsidies per kilowatt-hour of energy produced are huge compared to coal, natural gas, and nuclear power. These costs are hidden from the public in increased federal and state tax rates. Gore is correct that "it is right to save humanity", but what we might need saving from the most are bad decisions that reduce prosperity and hurt the poor. If you are interested in more Climate Change debunking and actual weather facts, Watts Up With That is a great blog. UPDATE: Fixed the link! That's what happens when I try to write post right after getting my eyes dilated! 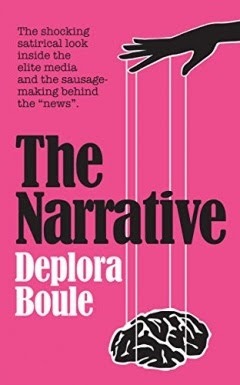 Many thanks to the random reader that alerted me to the broken link. We are in grave danger from liberals like Gore.